Bird watching from the comfort of your own home is a rewarding experience for the young and not-as-young both. 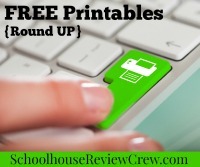 Read on for our activities and our new free printables just for you! There is always a new bird to look for or something new to learn. It can also become quite addictive. 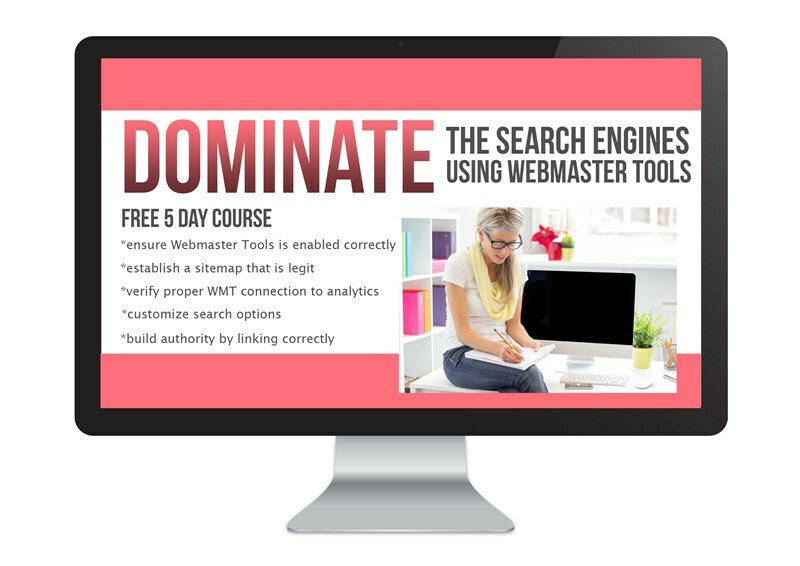 We’ve been doing this project since last spring/summer. Our good friend, Susan, from one of the local Moms and Tots groups shared her activity with us and it’s been a great hit! She’s taken pictures of some common British Garden Birds and turned them into cards with the name of each bird above. The RSPB has a wealth of information for bird watching, and we often frequent this site. We’ve glued the cards onto some construction paper and laminated them with sticky-backed plastic so that they will wear well as they are being used on a daily basis. 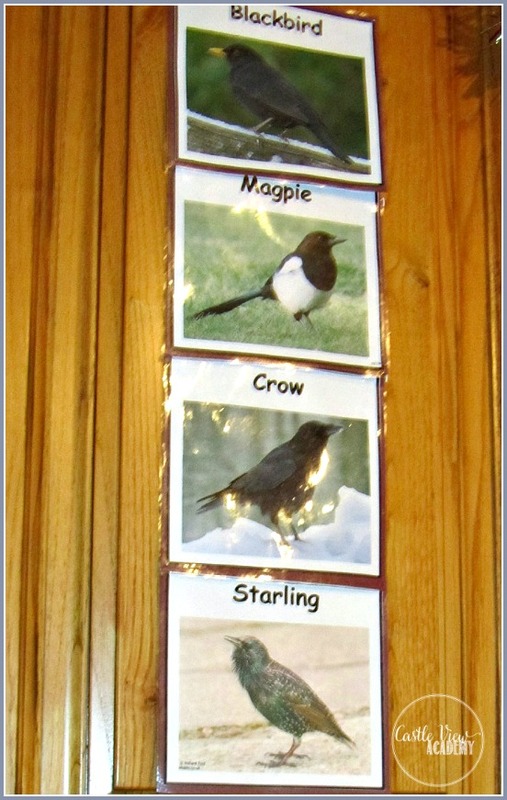 We use some fun-tak to put them up onto our kitchen door to perch. 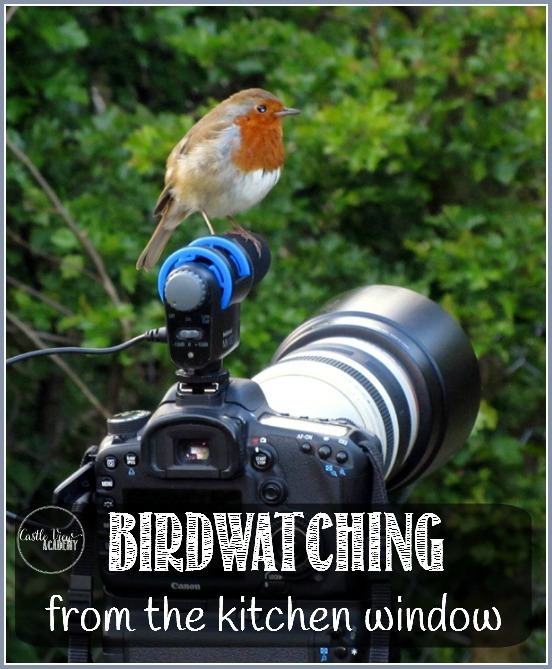 Each morning, and throughout the day, we look out our kitchen window and spend a moment bird watching to see which birds we can spot in the trees behind, or next door. 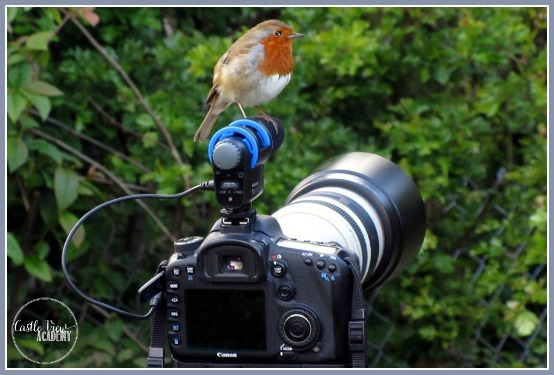 Our next-door neighbour is deeply into bird watching and filming birds around the area. In fact, in a play-on-words unknown to Tristan, he calls our neighbour Mr. Cameraman. So often we see many birds next door that we don’t see in our own garden. But since trimming the trees and putting out an improved bird feeder we are now seeing more in our garden as well! We’ve made a few bird feeders over the past year as well; you’ll see these in upcoming posts over the year. You can learn about our scarecrow birdfeeder here. As we sight a bird, we take down the corresponding card from the kitchen door and move it to the cupboard door next to the window. 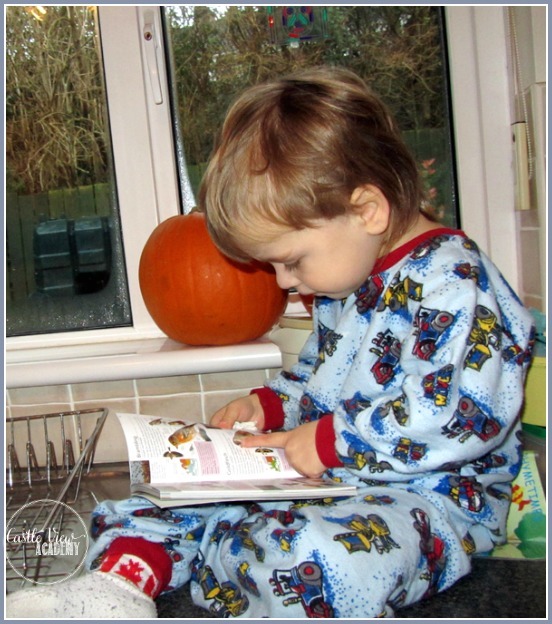 Now that the younger children have grown used to the cards and know how to be gentle with them we have since moved the cards down lower so that they can all transfer the cards between areas when they sight one out the window. As we are out walking each day we keep our eyes open for other birds that may be seen. Over the year we have added a few more birds to our collection and Tristan has become good at knowing them by name now, too. 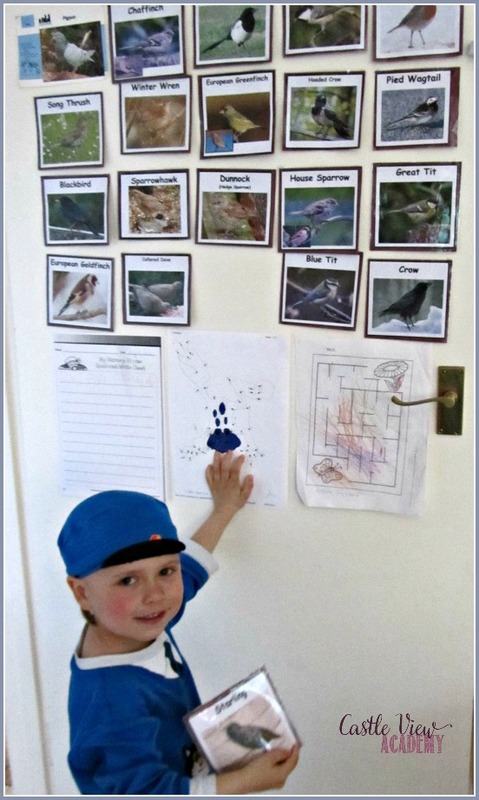 As a way to further this activity, we are thinking of adding some bird facts to the back of each card so we can begin to learn a little more about our feathered friends. One thing we have learned is that they enjoy these birdseed cookies. We may also start to count the sightings of the birds in our own garden to see how they change over the seasons as some of them migrate. This will add to the children’s math skills. Bird watching is a relaxing yet exciting hobby that goes wherever you are, and best of all it’s free! 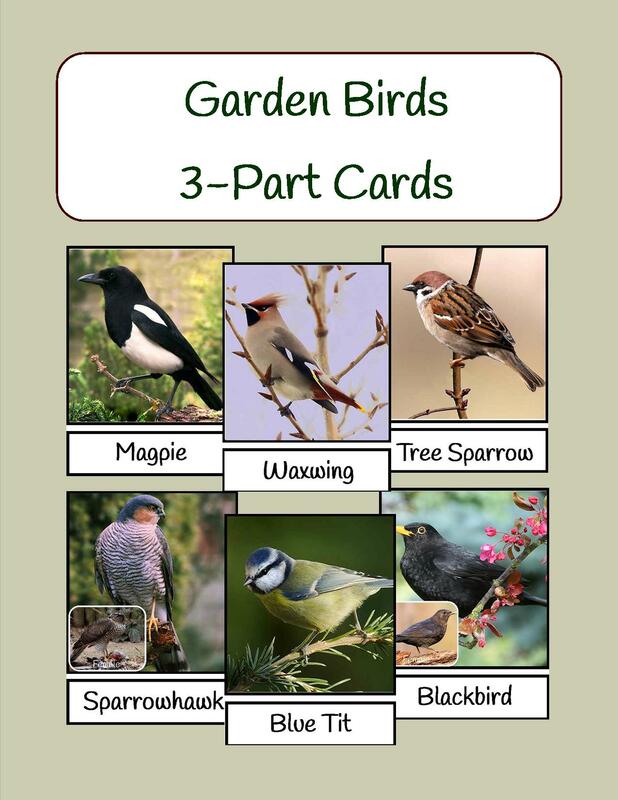 Speaking of FREE, I’ve created a free garden birds 3-part card set for you, with the help of Maurice Baker. 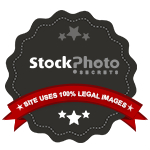 I’d highly recommend you visit his site for great wildlife photos, videos, and audio recordings! 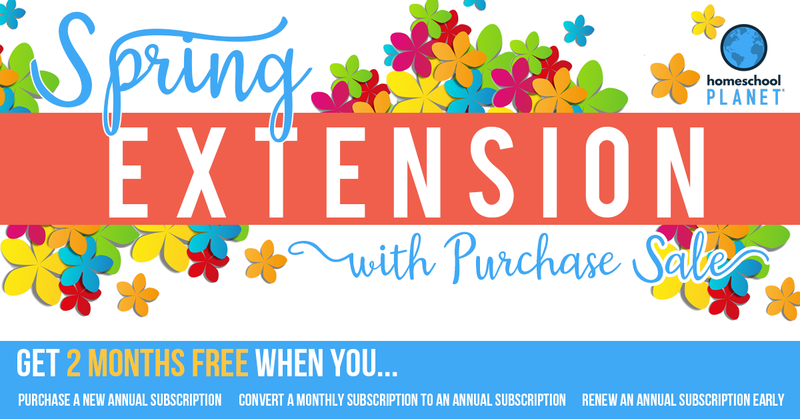 To access your copy, simply sign up for our emails and you’ll find a link and password at the bottom of the emails that will give you access to this free printable, as well as all the past subscriber freebies that we’ve done. Take a look at another way we watch for birds and wildlife on our Walk on the Wildside blog post. Fly over to our page on nature activities for kids for more great ways to get kids excited about nature. Great idea. I’m doing this too. 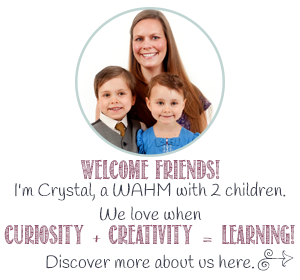 It seems helpful to get kids to slow down and look outside! It will be a good reminder for me as well. I’ve never seen a cardinal…maybe one day! 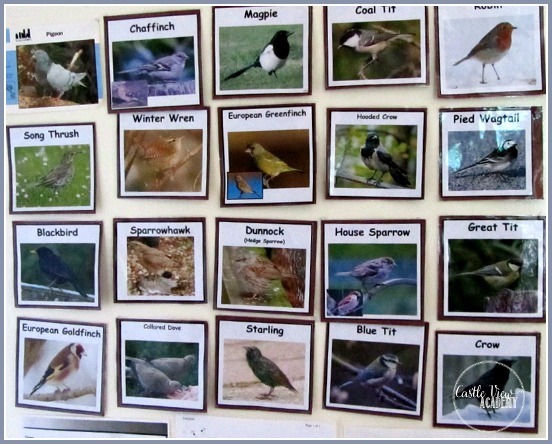 The children both enjoy bird-spotting, and even after 3 years they still have the pictures up in the kitchen to use. There’s always something new to see – we need to add to our list.